Yes, it looks great, but that isn’t the only thing that makes the LG 24MB35V-W monitor easy on the eye. This LED backlit IPS professional monitor also includes features designed to minimize eye fatique, such as anti-glare, 3H hard coating, LG’s Flicker-Safe technology that reduces flickering to almost zero, and a one-touch reader mode that limits blue light emissions. It produces images that are crystal clear and consistent in color accuracy from all viewing angles. To top it off, it is Energy Star Qualified™ and EPEAT Gold certified. That makes LG’s 24MB35V-W easy on the eye, easy on energy, and easy on the environment. 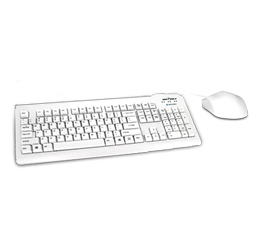 Seal Shield™ medical grade keyboards and mice range from CleanWipe to Washable and Antimicrobial. 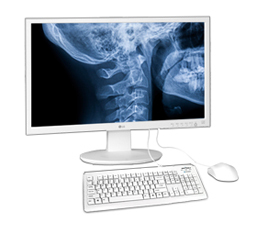 Low Profile QWERTY Keyboards with wired, RF, or Bluetooth connectivity make them versatile and a standard setting in the healthcare industry. 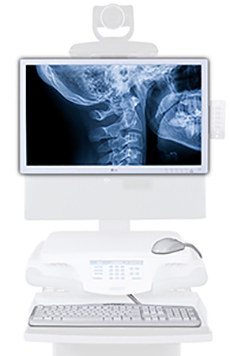 Partnering with Howard Medical and bundled with an LG monitor, it makes for a great upgrade to any medical area. READER MODE: With a touch of a button, Reader Mode allows the reduction of blue light emissions that can be harmful to the eyes. FLICKER-SAFE: LG’s Flicker-Safe technology protects users’ eyes from fatigue by reducing flickering to almost zero. HDMI: HDMI Input will provide a simple source connection for 1920 x 1080p resolution.